Country Focus: Korea - Shake it, baby! Musicshake, Inc. is the world's first on-line user generated music (UGM) creation solution that provides music composing solutions aimed at the general public (a.k.a. music dummies) without previous musical knowledge or expertise. The Korea-based online music creation service recently expanded to the US. Michael of Web2Asia recently had a chat with Kihong Bae, General Manager of MusicShake in the US. 1. Could you please briefly introduce yourself and your company? I am a Korean native, but I grew up in Spain. I have studied and worked in Korea and the United States, travelling back and forth. 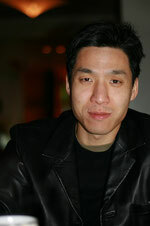 Prior to working as Senior Marketing Manager at Microsoft Korea I was working for several companies in the IT industry. Currently I am heading up the US operations of MusicShake. The US office is manly in charge of the marketing, but the goal at the end of the day is to move the HQ from Korea to the US. Right now we are try to keep the company very lean. I have always been interested in fusion technology and media entertainment – exactly what MusicShake is combining. MusicShake is a software that allows the general public, we call them music dummies, to create their own music in a very easy and intuitive way that no other software achieves. We provide a variety of music modules, you just need to drag 'n drop to create different patterns. Currently we have about 400,000 different modules online, so just imagine the combination of possible songs. We cover all the instruments out there and even provide vocals. All modules are currently created by in-house and part-time outsourced musicians in Korea, where we have a pool of 30 people. But we are recruiting musicians in the US right now as well. One side of music is pretty international and there is no need to translate, music is music. But at the same time there is a cultural aspect – what is popular in Korea does not necessarily have what it takes to be popular in the US. Therefore the localization of the music modules, especially the lyrics, is important. 2. How do you assess the market for user generated content websites? Is there still potential for more to come? In my personal opinion the answer would be yes, but is going to take different forms. User Generated Content is not a new concept. There have been bulletin boards and so on before; there was just no platform to enable stuff on the web. Users have always wanted to participate more; they want more levels of e-democracy. YouTube kind of set off the whole user generated content revolution. The next step is user generated fusions, combining technologies that are out there that allows users to do a lot of things. To sum up, it is a basic instinct of human beings to do something, to participate, to show off, to share – user generated content websites just provide the platform that allows you to express yourself. 3. In the past we have seen many globally dominating websites failing to establish themselves successfully in the Korean market. According to you, what are the reasons for the weak performance of so many international players in Korea? One, maybe obvious reason, is that a lot of the global companies in the past thought that whatever works in one market can be translated into other markets – especially internet technologies. But whatever you do must be customized to the local demographics. A perfect example is the story of Wal-Mart in Korea, which was a total failure. They failed to realize the specific demographics of the Korean consumers. Koreans do not buy in large junks, they like to go to the market every day and wouldn't buy food for the whole week. Wal-Mart did not realize this before entering the market. It's the same thing for YouTube and Google. They failed to understand the key characteristics of Korean consumers. What is the purpose? Why do Koreans watch videos on websites? Koreans prefer high quality videos because the internet infrastructure is very well developed and allows fast data transfer, but YouTube's videos are very low in quality. In general, there are different dynamics in the US and Korea. Koreans are a very unique type of people. They are very trend driven, if there is something popular they want it the next day. Also the culture adds to their patriotism. Koreans tend to be more loyal than other customers, if they stick to one thing it is really hard to make them switch to other stuff. 4. What tips and tricks can you share with foreign Interactive Media companies that are planning on entering the Korean market? My main advice would be to study the market in detail – not just reading books, but being out there, physically out there, watching how Korean consumers react to whatever product you have, to identify the key differences in consumer behavior. I suggest working with local partners, to take baby steps instead of launching a product in a big way. First test the market and then do the next thing instead of spending tons of money on doing research and then coming out with a big big launch. Initially go with a local entity that understands the market, there are ways to separate when the company is big. You need to be there, watch people, get real feedback from the market and not from analysts or academics. 5. You recently expanded to the US – how did you prepare yourself so that you won't experience the same difficulties as many US sites did when entering the Korean market? I think music that Asians like is not so different from what people like in other markets, therefore it was not so difficult to approach the US market. The management team have a very international mindset. The mindset of a CEO and the managing team is really important when going into a different market, you have to be willing to change the ways of doing business, and you must be very flexible and willing to learn. We talked to as many people in the IT and digital music industry as we could and teamed up with potential advisors, people who have experience in the digital entertainment industry and know-how of how business is done in Asia and the US. It was important to receive feedback and taking it back to the headquarters and then executing the strategy in the US. I think many Asian companies that have been successful in Korea or other parts cannot do business in the US – they think whatever is successful at home will be a success abroad as well. It's about the mindset; it's the rigidity that brings everything down. You need an advisory board that helps you out. It's about having the right team who knows about doing business in the US and has at the same time experience in Asia. The core team of MusicShake is made up by a couple of people from Korea and Korean Americans. 6. The US version of MusicShake appears in a different design than the Korean one. Why do you think the Korean design would not work in the US market? Furthermore, does only the design differ or did you localize the site by adding new features? A couple of points are done differently. Korea has a huge broad band penetration rate. Therefore the Korean version of MusicShake features a lot of flash and active-x based stuff that you can bring up in a matter of seconds. The internet connections in the US wouldn't allow that and we therefore took out many flash based elements. In addition, Americans do not like active-x stuff that pops up, so we got rid of that as well. Whatever they need to get done, they want to have it done as simply as possible. A feature that is more or less only available in the US is the possibility to share and embed songs. Those features are also available in Korea, but the whole concept of sharing is a larger one in the USA. Koreans prefer to come to the website and listen to songs that other users have made. US users prefer to come to the website and make the music themselves. Then of course we made some localization things. Language for example, the English is not perfect yet. We are still in the process of washing out all the Konglish (Korean English). 7. How did you enter the US market? Did you go for it yourself or did you team up with a local partner to explore the market? We are a 100% independent subsidiary owned by the Korean company. Korea is still the HQ, but as I have said, at the end of the day the goal is to have the HQ in the US. The US is a bigger market and that's the reason why we want to have the HQ in the US. It is easier to hire good people from the US when you are a totally American company. It's easier to attract talent and easier to attract US venture capital. Right now we are in talks with VCs, but I cannot really tell when the next round will be. 8. What experiences can you share with us and our readers concerning the differences in Korean internet user behavior and U.S. American users? Americans are more do it yourself oriented, more brave, more aggressive, they like to try things out. In Korea the IT infrastructure is much better; the streaming is very fast and in good quality. That might be a reason why they are a little more passive and watch many videos online, but that's only my point of view. In Korea users are also used to advertisements and active-x bases stuff. 9. How is MusicShake performing in Korea and the US so far? What can we expect from MusicShake in 2008? Will there be more localized versions up? In Korea we have around 15,000 unique monthly visitors. In the US we have around 6,000 unique monthly visitors. But so far we have had no major marketing campaigns. We currently rely on word of mouth and viral marketing. The number of users is not impressive, but the average visit duration is an astonishing 50 minutes. The website is very sticky. Our goal is to have about one million unique monthly visitors by the end of the year in the US. We keep developing the product, but at the same time we are doing some business development. The long term goal is to internationalize, but up till now we have been more focused on providing music modules of high quality. We constantly add more modules of different genres. We also want to include more SN capabilities; there is a larger market around the community we want to explore. We also try to partner with major online content providers like YouTube. Everyone needs background music for online content. We can provide a tool for user generated content websites that allows users to make their own music and to embed it in their generated content. But we have not closed any deals yet.